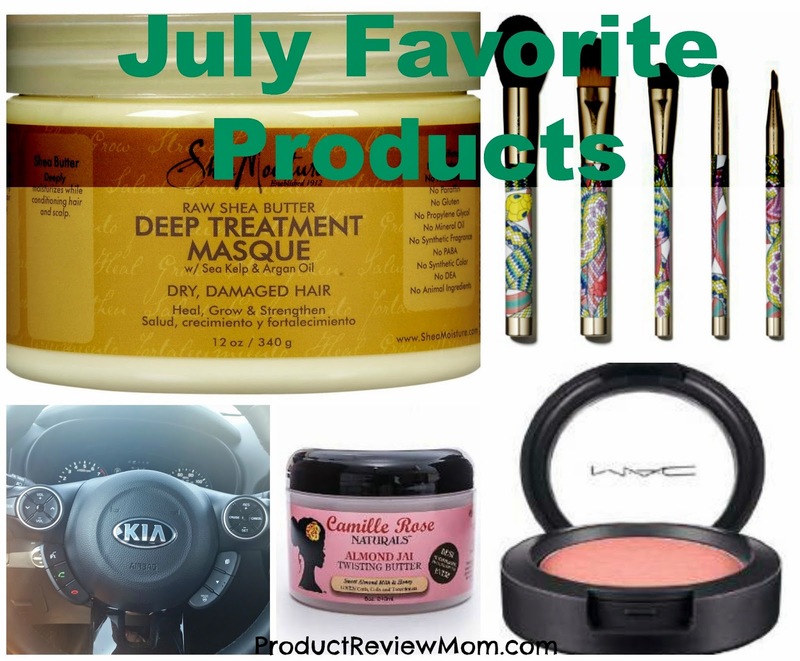 In July, I have found some great beauty products to add to my collection so you'll mainly see beauty products on my favorite products list for last month. Check out some of the stuff I liked. Sonia Kashuk Brush Couture 5 Piece Brush Set (16.99)- When it comes to makeup brushes, I'm cheap. Although I don't mind spending money on high end department store make up, I just don't like spending much on makeup brushes. Before I had hit the road for my annual road trip, I needed to get myself some new make up brushes, so I headed to one of my favorite stores, Target. Target has a great selection of makeup brushes to choose from and the Sonia Kashuk Brush Couture 5 Piece Brush Set caught my attention due to the artistic detail on it. I love Chinese art and having a colorful Chinese dragon on the brushes made me buy it. Good thing all brush bristles are good and high quality because I wasn't thinking about it at the time of purchase. All brushes ( powder/blusher brush, foundation brush, large shaper brush, crease brush, and pointed eye liner brush) helps blends my makeup well and make my makeup look flawless. All brushes are easy to clean without losing bristles. MAC Blush (Whole Lotta Love)(Price Varies)- I usually buy my blushes at either a grocery store, or Target, but this time since I needed a eyebrow pencil from MAC I decided to get myself some blush from there since I ran out. I needed a blush that would look natural on my skin and not look like my cheeks are extra rosy. MAC Blush- Whole Lotta Love works prefect for my skin tone and blends with my makeup. The color last all day with a matte finish. 2014 Kia Soul- I had a chance to review the Kia Soul car last month and boy is that car fun! That car is like entertainment on wheels, from the HD radio and light up speaks. I really misjudge that car before I even had the opportunity to drive it. You can check out my full review by clicking the link above. Shea Moisture Raw Shea Butter Deep Treatment Hair Masque ($17.15)- I actually have used this hair masque long before July and I hated it! The texture of the Shea Moisture masque years ago was so thick that it would just sit on my hair and do nothing to it. I decided to give this masque another try and I was very please of the results it did to my hair. It penetrated my hair with a lot of moisture and made my hair incredibly soft! The texture is a bit more liquify now so they must have changed up their formula. I'm glad they did! 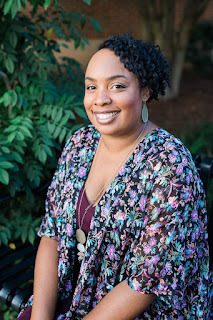 Camille Rose Naturals Almond Jai Twisting Butter ($23.49)- With this dry summer heat, I have been on the hunt to find a styling product to help bring moisture back in both my daughter's and I hair and I found a great one at Target called Camille Rose Naturals. The texture reminds me of pudding and the sweet aroma of almond milk makes me want to dip my hand in it and eat it. It really hydrated and soften both my girl's and my hair. Works great for twist and doing a twist out. It doesn't leave white flakes and can be mixed with other products. I like to mix Camille Rose Naturals with my Eco Styler gel to give my hair a better hold for my curls. I can't wait to use other hair products from this product line! What were your favorite products you used in July? I need some new makeup brushes and those Sonia Kashuk sound great and they are so pretty! Those brushes are great and for now on I'll be buying my makeup brushes from Sonia Kashuk. July flew by didn't it?!!?? I went out and bought a maxi skirt, but have not braved it... That might be my favorite product for July.. I love maxi skirts and maxi dresses! You'll look great in it Aimee! I'm looking for new make-up brushes. I've used her brand before but was going to try a high end brand. Nope, not now, thanks for reminding me to stick with what I know. Yeah just stick with her brand Reginia. I think her brushes are good enough just like the high end brands. Sonia Kashuk brushes are on my list of things to try. They always get such glowing reviews. I also use the Shea Moisture African Black Soap masque to help combat my scaly, itchy scalp. It works wonders and leaves my hair so soft. Makes me want to try other Shea Moisture products! I've used several high end brands and low end brands of makeup brushes. Her brushes are a fantastic option and are just as good as some of the more expensive brands that I've used!!! I am a complete makeup novice but it looks liek you definitely have a bit of experience. Great round up of products. I love MAC blush. It's so smooth and light. Great list! Great list! I have been hearing so many great things about Camille Rose products. I can't wait to try them! Yes girl, you'll need to try them out you won't be disappointed! Let me know how it works for you Victoria. Those brushes are really cute. I've heard great things about Sonia Kashuk brushes, I really need to get on the ball and check them out. You should check them out Celeste, I know you would love them! That blush sounds great! I'll have to try it out. My sister just bought the Kia Soul. I'll have to check hers out. Sounds like it's a nice family car. Yes go check out your sister's Kia Soul, I bet she loves her car!